Can Trump change once he is the President? Carol politics can trump change his ways when he becomes president? Every day I listen to National Public Radio. Sometimes I tune in to Fox News channel on my XM radio. Sometimes I listen to CNN on my radio. I do my best to get news from different perspectives. I am in my car a lot driving and so I have time to sit and listen to the news. First things first. I was very worried when Trump won. Although I listened to a very close friend who told me not to worry because he was smart enough to “surround himself with smart people even though he is an idiot”, and worried just a little less. Because I value her opinion, and she is older and usually wiser than me I have tried to pay attention to the confirmation hearings so far. So what I have found is that I am even more confused than I was before. The one thing I can be sure of (based upon actions so far) is the President-elect Trump will always stay true to the from of what we have always seen and heard from him. From his days of bashing Rosie O’Donnell, to saying he doesn’t want a “Mexican judge” on his lawsuit, to the man I always believed to be an egomaniac, and quite frankly not very nice. 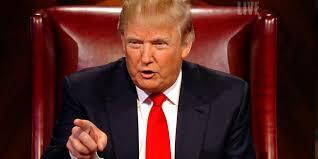 I used to watch “The Apprentice”, and I was always amused by his way of talking to people and thought his ego was a little too big even then. (and when I say I watched it, I mean I watched it back in the beginning, in 2004 when the not so nice Omarosa was on and subsequently fired). Interestingly, apparently Omarosa has a job in the White House after Trump takes office. I just feel that he is who he is. The mean tweets, the outbursts, the inability to listen well, the ego. I am not sure he will be able to take his personality down a notch or two after he takes office. I mean he is no spring chicken…. he is 70 years old………I find it unlikely that a person of that age will change who he is at his core and be able to behave differently than what we have witnessed over the many years he has been in the spotlight…. So I am worried. I just don’t believe he will act one way on January 19 and then a different way on January 21st. The situation with Russia worries me, his way of speaking to people worries me especially when it comes to foreign relations. And I am concerned about the repeal of the ACA without something better to replace it with. I am always hopeful that things will work out okay, but to be honest, I am having a hard time being hopeful. So many people in this country are scared and don’t know how to feel about what may come. So for now, I will just wait and see before I make any judgements and I pray that I am absolutely wrong and once he becomes our 45th President he will change and things will not get worse in this country. I never bought into the “make America Great AGAIN” slogan because I think there is so much about America that is already great and has always been great. I have traveled to other countries, and while ours has its faults, it is definitely one of the best places to live in this world! Crossing my fingers and ever hopeful that Trump can change his ways when he becomes President!